On the 1st (Sat), explore the stunning scenery at Yavapai Point. Keep things going the next day: tour the pleasant surroundings at South Kaibab Trail, then take in breathtaking views at Grand Canyon South Rim, then admire the striking features of Grand Canyon Railway Depot, and finally get great views at Powell Point. To see ratings, reviews, other places to visit, and tourist information, go to the Grand Canyon National Park trip itinerary planning site . Washington DC to Grand Canyon National Park is an approximately 12-hour combination of train, flight, and bus. You can also do a combination of flight and bus; or drive. The time zone changes from Eastern Standard Time (EST) to Mountain Standard Time (MST), which is usually a -2 hour difference. Traveling from Washington DC in June, Grand Canyon National Park is much colder at night with lows of 42°F. Finish up your sightseeing early on the 3rd (Mon) so you can travel to San Francisco. Start off your visit on the 4th (Tue): take in the views from Golden Gate Bridge, steep yourself in history at SS Jeremiah O'Brien, then take a leisurely stroll along Fisherman's Wharf, and finally step off the mainland to explore Alcatraz Island. For more things to do, where to stay, maps, and more tourist information, go to the San Francisco visit planning site . Getting from Grand Canyon National Park to San Francisco by combination of bus and flight takes about 8.5 hours. Other options: do a combination of shuttle and flight; or drive. The time zone difference when traveling from Grand Canyon National Park to San Francisco is minus 1 hour. Expect little chillier weather when traveling from Grand Canyon National Park in June: highs in San Francisco hover around 71°F, while lows dip to 55°F. Cap off your sightseeing on the 4th (Tue) early enough to go by car to Yosemite National Park. 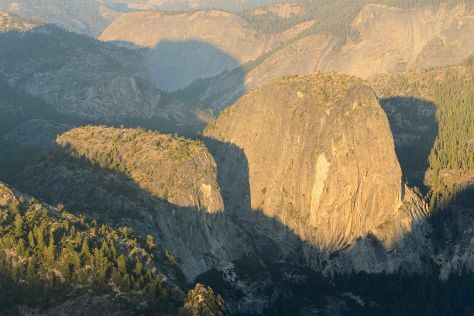 Start off your visit on the 5th (Wed): make a trip to Olmsted Point, then trek along Tuolumne Meadows, and then take in the dramatic natural features at Glacier Point. To see where to stay, photos, ratings, and more tourist information, read our Yosemite National Park online tour itinerary planner . You can drive from San Francisco to Yosemite National Park in 4 hours. Alternatively, you can do a combination of flight and car; or do a combination of flight and bus. While traveling from San Francisco, expect somewhat warmer days and a bit cooler nights in Yosemite National Park, ranging from highs of 79°F to lows of 43°F. Wrap up your sightseeing on the 5th (Wed) to allow time to travel to Yellowstone National Park. Visiting Hayden Valley and Artist Point will get you outdoors. Spend the 8th (Sat) exploring nature at Yellowstone National Park. 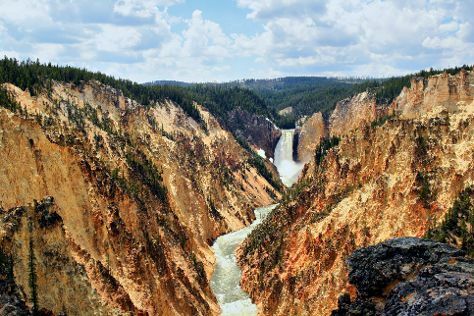 Next up on the itinerary: explore the stunning scenery at Grand Canyon of the Yellowstone, take in the natural beauty of Old Faithful, and hike along Brink of the Lower Falls Trail. For other places to visit, reviews, and tourist information, refer to the Yellowstone National Park trip planner . Traveling by combination of car and flight from Yosemite National Park to Yellowstone National Park takes 10 hours. Alternatively, you can do a combination of bus, flight, and car. The time zone difference when traveling from Yosemite National Park to Yellowstone National Park is 1 hour. Expect slightly colder temperatures when traveling from Yosemite National Park in June; daily highs in Yellowstone National Park reach 66°F and lows reach 34°F. On the 8th (Sat), wrap the sightseeing up by early afternoon so you can travel back home.